Gardening & Tree Surgery Harpurhey M9 | YGM Cleaning Company Ltd.
Do you want some to get ready your garden for the warm summer nights and days you will be spending in it? It is of no concern when you are homeowner, tenant or landlord, YGM Cleaning Company Ltd. has been providing its top quality and fairly priced, professional gardening services in Harpurhey to the businesses and residents and the place for much more than a decade. Each of the gardeners employed in the company are experienced, well trained, vetted and fully insured. The professional gardeners can take care of your overgrown lawn, plant flowers and other plants, clean up the leaves and other garbage, remove weed, can design your garden, prune trees, jet wash your patio and offer much more gardening repair services, maintenance and design. All you need to do is phone the 24/7 client care phone number 0161 823 0323 or fill out the online form, in order to get more price information, as well as all the details about discounts available for booking mixed gardening services in Harpurhey, as well as preferential conditions for regular clients. Ever since it was established, back in AUGUST 2005, the company has set its mission to offer you the greatest quality, most reliable, efficient and professional gardening services in Harpurhey to private residents and businesses and the area. Via the years, the company has been supplying all the necessary training, gardening tools and products, and all necessary sources to ensure that its clients receive the best gardening services in the area, at the most affordable garden cleaning price. The professional gardening company in Harpurhey can help you clean out the fallen leaves, cut grass and small branches from your own outside space. The gardeners can carefully wash out any dirt and residue from your patio or home garage with a jet washing machine. They can also provide you an totally new design and arrangement for your gardens, lawn repair, autumn and spring lawn care, lawn aeration, lawn scarification, lawn feeding and you will have more healthy plants. The tree surgery in Harpurhey is not hourly-based. It is costed according to the volume and difficulty of the work needed completed, the number, type and height of the trees and several other factors. The teams of tree surgeons are completely covered, safely and expertly equipped and trained to deal with trees of up to 20 feets of height. The tree surgeons in Harpurhey can take care of any dead or dangerous branches, help increase the sunlight in the outdoor area and minimize the fallen leaf volumes in fall months. 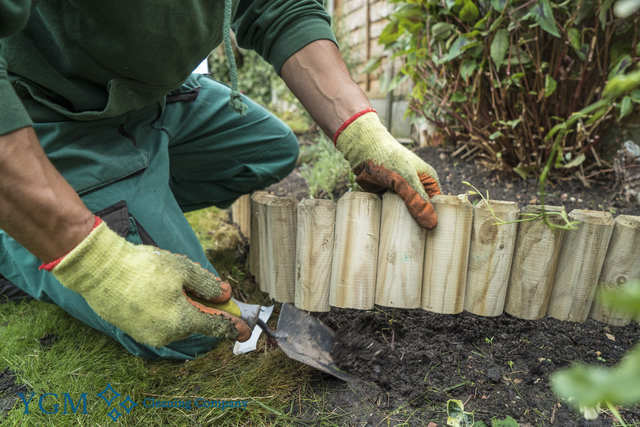 The company provides all kinds of professional gardening services in Harpurhey M9 to make your garden or other outdoor space absolutely ideal, and to help you keep it that way. Even though you have never utilized professional gardening help, or in case your outdoor space is neglected, do not worry, the professional gardeners will examine any kind of damage, offer an answer and give all the gardening services you need. Booking a no-obligation onsite visit, or booking a specific gardening service in Harpurhey M9 which is available from the company is extremely effortless. All you need to complete is get in touch with the DAILY customer support at 0161 823 0323 or here online, and book your visit or service now! The more services you obtain the bigger price reduction you will receive. No deposit is needed for booking, so contact your preferred local gardening service right this moment! Other services we offer in Harpurhey M9 Oven Cleaning Harpurhey, Carpet Cleaning Harpurhey, Upholstery Cleaning Harpurhey.